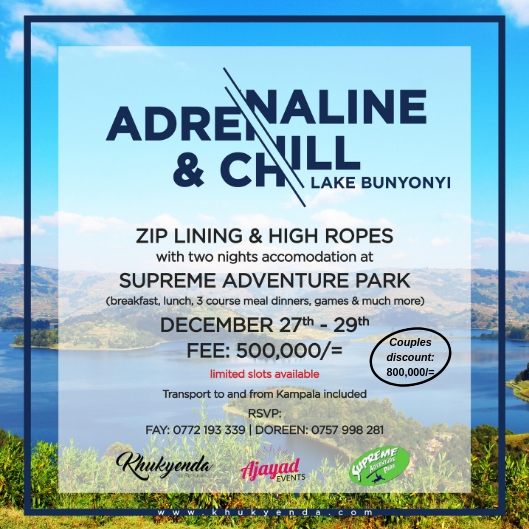 The holiday of a life time – our Adrenaline and Chill adventure at Supreme adventure park at lake bunyonyi was without a doubt one of my favorite group trip. The comfort and beauty of the landscape, the incredibly caring team, the delicious food, the history we learned from our competent and friendly guide, along with the stunning beauty of the islands. Zip lining over lake bunyonyi, playing games late in night, hiking around ruins and into small remote villages and relaxing on the boat… it was the best group trip ever.